Preheat the oven to 400. 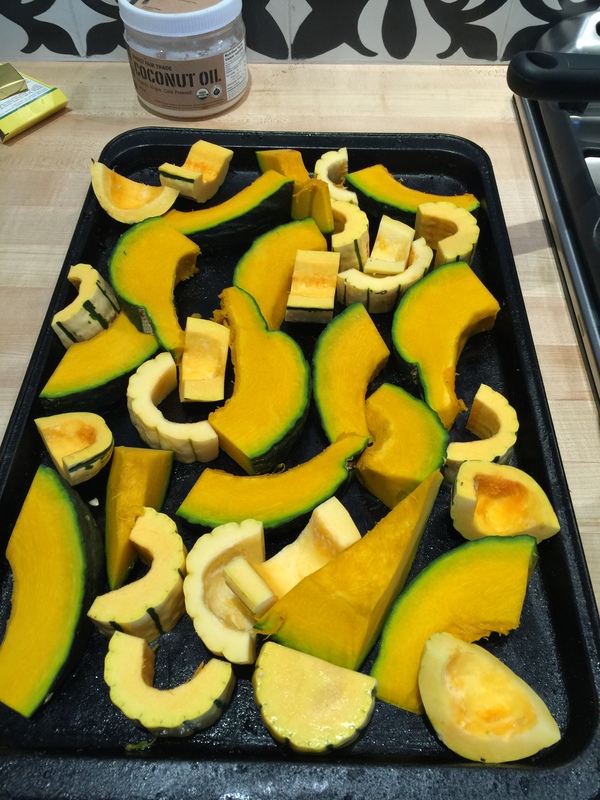 Place squash on a rimmed baking sheet. Drizzle with olive oil and season generously with sea salt and pepper. Roast, tossing lightly occasionally, for about 30-35 minutes. Meanwhile, bring the chile, vinegar, sugar, and a pinch of salt to a boil in a saucepan over medium heat. Reduce heat and mixture until syrupy, about 8-10 minutes. Transfer the squash to a platter, and drizzle with the agro dolce. Serve! I must admit, I used to think that acorn squash was boring, dull, bland, the lesser of all the squash. Then I tried this recipe from smittenkitchen.com, fed it to the staff, and we all fell in love with acorn squash. I put lime and chile on pretty much anything in our house, but had never thought to put it on squash. Thank you smittenkitchen! Those little dark yellow spaghetti squash that we have in store right now are AMAZING. Wash your squash. Pierce in 3-4 places. Place in microwave and cook on high for 2-3 minutes to soften the shell. 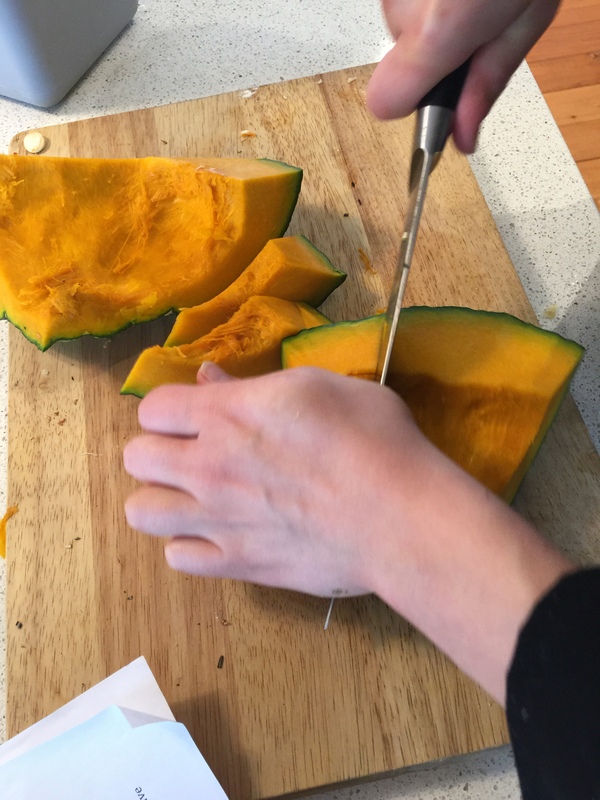 Carefully remove hot squash, cut in half length wise and scoop out the seeds. In the cavity place 3 tbsp olive oil, 2 cloves of garlic cut up, and pepper to taste. 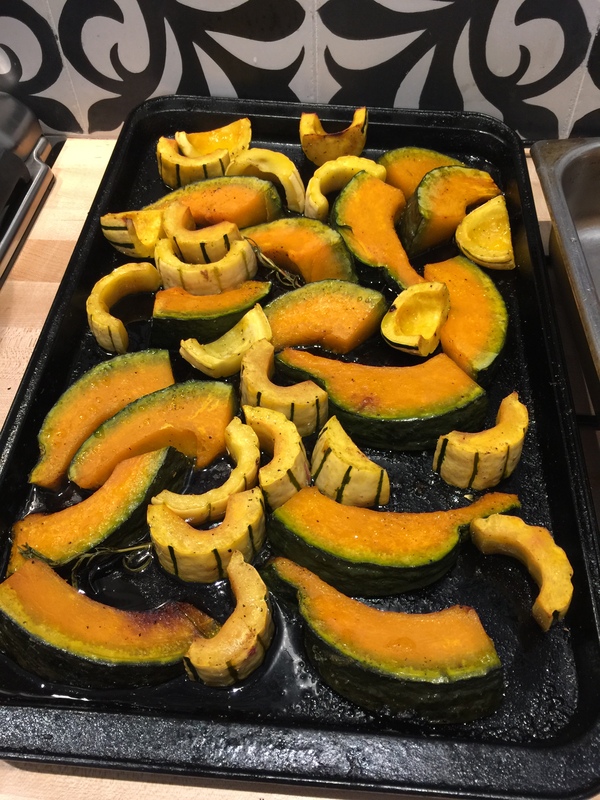 Place your halves of squash, shell side down, in an oven proof dish. Add half an inch of water to the dish, casserole, whatever you are using. Bake at 350 for 30-45 minutes until tender. Remove squash with oven mitts. Carefully scrape out the spaghetti strands into a bowl with a fork. Mix the spaghetti up with the garlic that had been roasted in the cavity.